You could also add chickpeas, dried cranberries, avocado, or any other vegetable that sounds nice to you. Cook the Gardein strips, or any other meat substitute you like, as the package says, along with the peas until the peas are browned a little on one side. Mix all of your other ingredients in a large bowl and toss with your dressing of choice. I usually go with a sesame dressing. 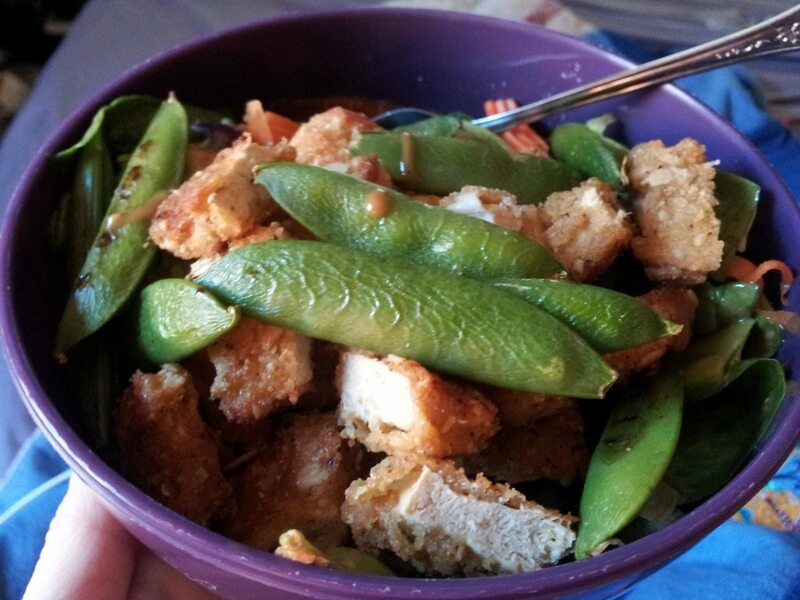 Top with Gardein strips and peas, and enjoy.